Brake is renewing its call to ban hands-free mobile phone kits after a survey revealed that almost half (45%) of drivers admit to using the devices when driving. 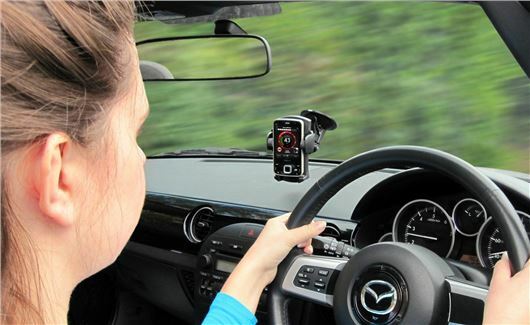 The road safety charity says in Fleet News report of a survey run in conjuction with Direct Line that, while the use of hand-held phones by drivers has dropped, hands-free use has risen to 38%, from 22% in 2006. Brake believes that the lack of a total ban has left many drivers unaware that using a hands-free mobile at the wheel is just as risky as using a hand-held. The charity claims it is the distraction of the conversation that causes the danger. Studies have shown the risk of being in a crash that causes injury is increased four times for drivers on both hand-held and hands-free phones, with reactions 30% slower than driving at the UK drink drive limit, and 50% slower than under normal conditions. Brake and Direct Line's survey also found that texting at the wheel is a widespread problem, with 30% admitting sending or reading messages while driving, and an even higher proportion of young drivers (age 18-24) - 44% - doing so. Smartphone apps are an additional threat, with 12% of drivers using them at the wheel, up from 9% in 2006. Julie Townsend, deputy chief executive, Brake, said: "Using a hands-free phone while driving can end and ruin lives just as surely as using a phone hand-held, and no phone call or text is worth a life. “The Government needs to act now to stop this risky behaviour. We all need to take responsibility and put our phones safely out of reach and earshot while behind the wheel, and refuse to speak on the phone to others who are driving." Great idea, so long as you also outlaw passengers in the car as well. Obviously, if talking to someone is more dangerous than drink driving all cars should be single seater. Banning kits is dealing with part of the problem. What about cars with built in Bluetooth? You can't stop that. While I abhore anyone who texts while driving, even using Siri on iPhones to create the words, that is one area I agree with Brake. Brake should also target van and commercial drivers who, even with their or company names on the side and back, continue to ignore the rule on hand held phone use, regardless of risk. Finally is it not time for a campaign warning drivers that if involved in an RTA, then there's every chance Police will check their mobile? It's been well established that it's comparatively safe to drive with (most!) passengers - they can see the traffic conditions & know when to shut up, especially as they'd be in the accident too. Most passengers - especially those who do not drive regularly - have no idea what is going on outside of the car. There is a tendency to look at the passenger from time to time when talking and we have all seen drivers facing backwards to admonish children in the back - or just to say something to them. I'm sure that I am not the only person to have offended a passenger because I didn't get what they were saying due to a need to concentrate on road conditions. Passengers are far more distracting than an occasional hands-free call. A phone call normally lasts a few minutes. Passengers are with you - and potentially distracting you - for the whole journey.